If you’re working on saving money, there are few easier ways than with the envelope budgeting system! 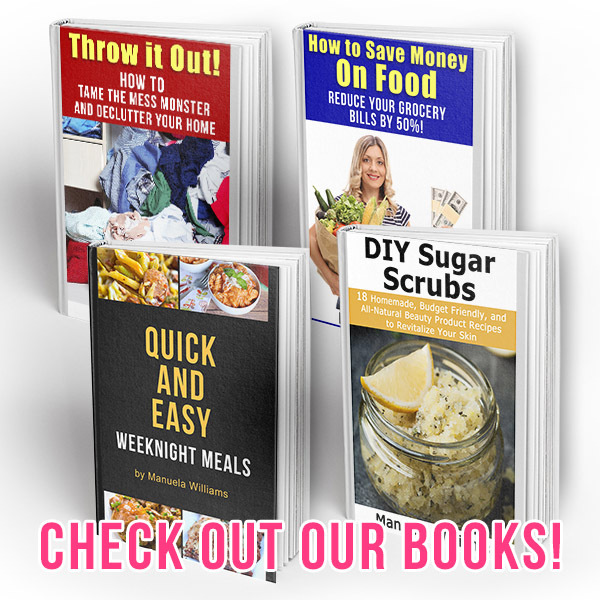 It’s very flexible, in that you can make an envelope budget for every area of your finances, or you could just make an envelope for a single area or two, like groceries and eating out. While regular mail envelopes technically will work just fine, budgeting is more fun if your budgeting tools have pretty designs! 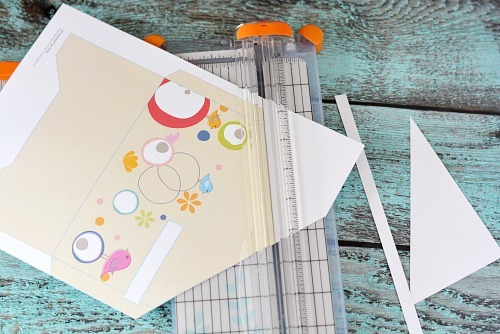 Make your budget stylish with these Envelope Budgeting System Free Printable Envelopes! 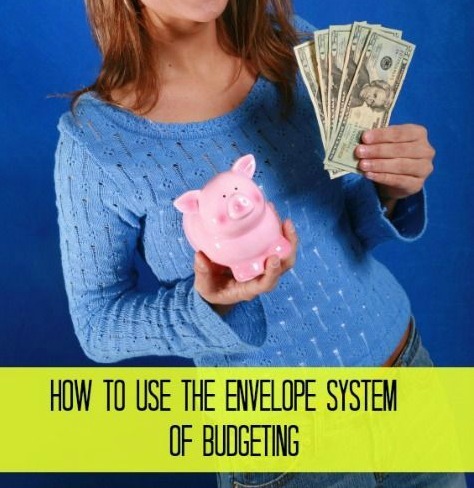 Never heard of the envelope budgeting system before? It’s not too hard to understand. 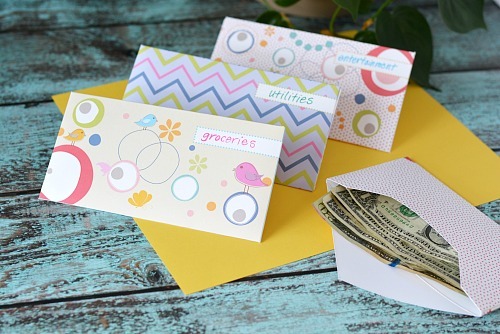 The basic idea is that you divvy up the money in your budget into envelopes. That way you can always see how much money you have left for different areas of your finances. Many people find that using physical cash helps them to reduce impulse purchases and stay on budget. I described how to use the envelope budgeting system in-depth in a previous post. 1. 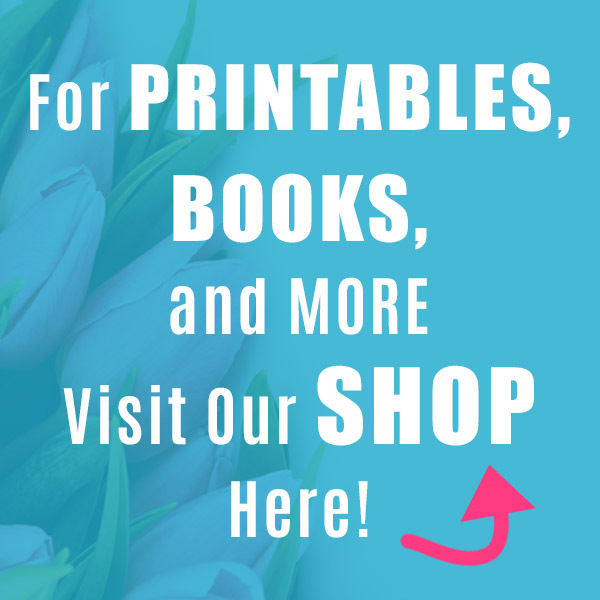 Download the printable envelopes (link above). 2. Print out as many envelopes as you need. I printed mine on card stock, which helped make them decently sturdy. Matte photo paper may also work. Glossy photo paper would be oddly shiny, and regular printer paper would be too flimsy for long-term use. If you don’t want to print all of the templates, after clicking “Print,” in the print dialogue you can change pages from “All” to the number of the page with the template you want (2, 3, etc.). 3. 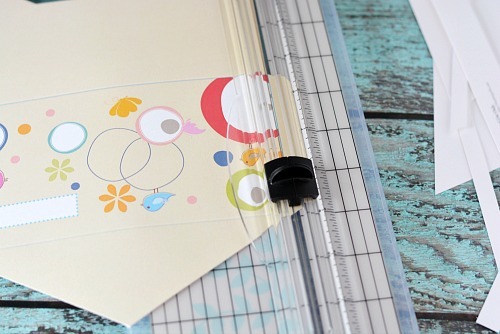 Use a paper trimmer to trim the straight edges of the templates. 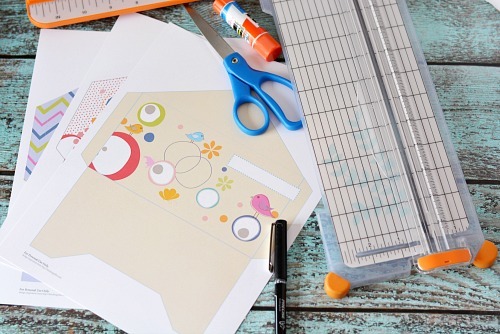 Use scissors to finish the angled areas. 4. Use your scoring blade to score all four sides of the light blue rectangle in the center of the envelope. If you don’t have a paper trimmer with a scoring blade, you could instead use the edge of a credit card. Both ways work, but the scoring blade is faster and easier. 5. 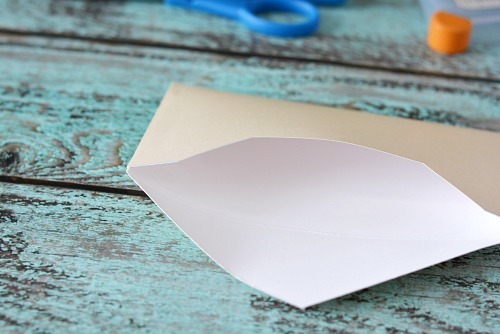 Fold the envelope and use a glue stick to glue the sides of the envelopes together. Let dry. 6. Label each envelope (groceries, utilities, entertainment, etc.) to use in your saving system! 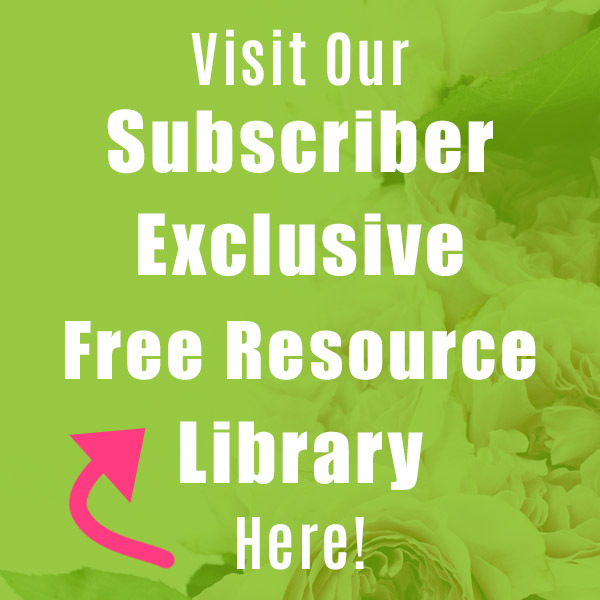 Have you ever used the envelope budgeting system before? Can remember budgeting/paying bills with specific envelopes when divorced with 3 small children to support. Didn’t even drive then or have car, We walked and I toted smaller 2 in stroller or in a wagon. We made a game of 3 taking turns in stroller/wagon.. Ah the good old days. This was in early 60’s. 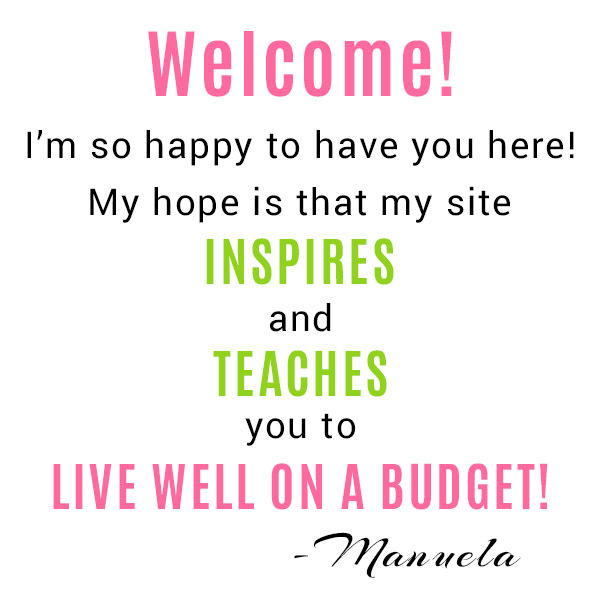 Thanks for sharing templates for envelopes, think will use them for budget again, now on SS. Time sure flies.